Butterflies have always been a symbol of hope and uplifting spirit for humans. They provide a beautiful way to remember your loved ones and celebrate their lives. Monarch or painted lady butterflies can be released as a symbolic celebration of your loved ones' life. In many cultures it is believed that butterflies represent the spirit or the soul of those who have passed. Please contact Lucy for more details. 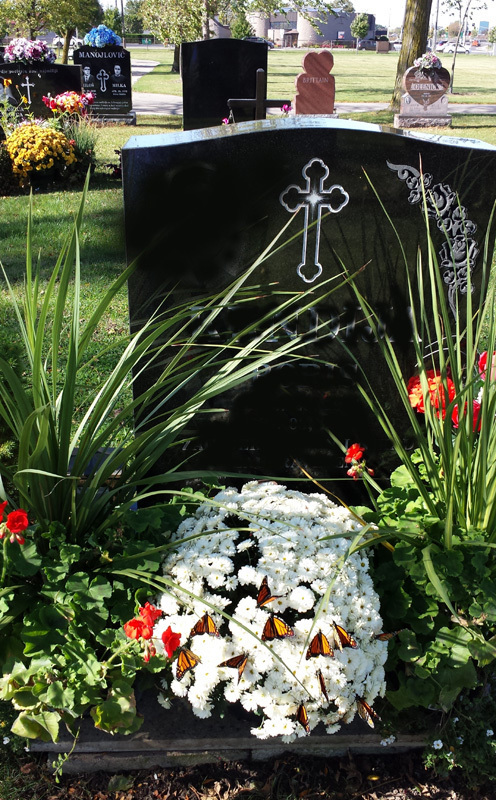 We try to have extra butterflies on hand for memorials and funerals. 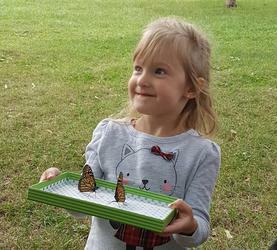 For our family, we had the grand-kids meet us on Friday to release the monarchs. They were so thrilled with the experience and we wanted to teach them about remembering Auntie Rachael. Our daughter also gave permission for you to use the attached picture. The monarchs were stunningly beautiful. What a special treat!!! A graveside release of monarchs. 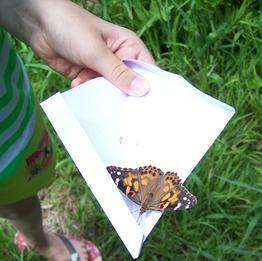 From time to time I receive emails from those who have released butterflies for memorial events. 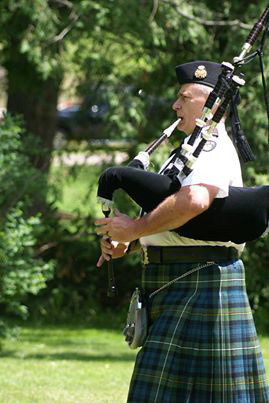 Many thanks to the Bereaved Families of Ontario Pembroke Chapter especially Director Clay McAleer. Greetings from your friends from Bereaved Families of Ontario Pembroke Chapter. We are beginning our planning for our memorial event featuring your beautiful butterflies so we thought we would make contact with you as soon as possible. We were wondering if you were still interested in providing us with butterflies this year and if there had been any changes to prices or shipping practices or… well anything really. Things worked out so well last year that we hope we can partner up again. We look forward to hearing from you soon. P.S. I have attached some pictures for you to use.